Next in our Glenfarclas minis session was the 21 year old… We first sampled it as part of a Glenfarclas evening in 2011…. and clearly a revisit was overdue! The initial whiff was varnish… then sour mash, green grapes, vanilla, more subtle warm vapour, light tea. With the aromas, over time it began to unfurl from a tight nose to reveal multiple dimensions. We set it aside and revisited after trying all the Glenfarclas miniatures… what then? Overall we found it very approachable, quite enjoyable. Still had that quite straight forward dimension like the other Glenfarclas, yet with so many more elements. Nose – Intense, full of aromas – sherried fruit, tropical fruit, nutmeg and almonds with slight citrus notes at the end. Flavour – Full bodied rich and rounded, develops slowly into fruity and spicy flavours. Finish – Long-lasting and smooth with a chocolate feel at the back of your throat. 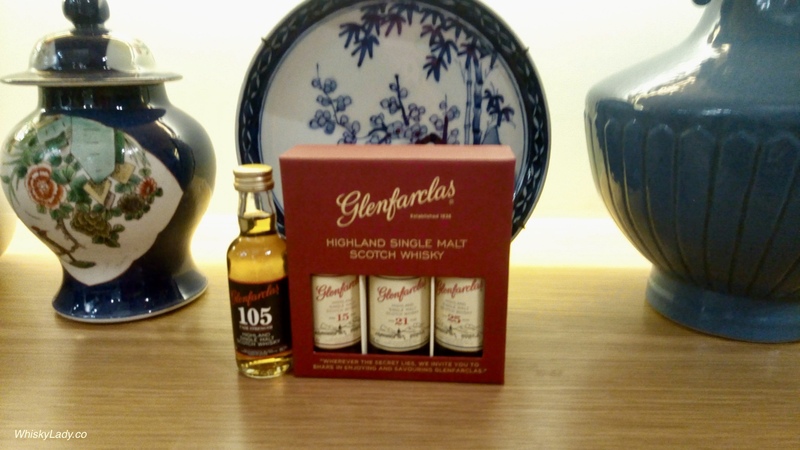 This entry was posted in Scotland, Speyside and tagged Glenfarclas, Glenfarclas 21 year, Glenfarclas 21 year tasting notes, Miniatures by Carissa Hickling. Bookmark the permalink.